As Jim Halpert, John Krasinski just waged a war against office tedium with pranks—lots and lots of pranks. But now that he’s playing Jack Ryan, the stakes are considerably higher. 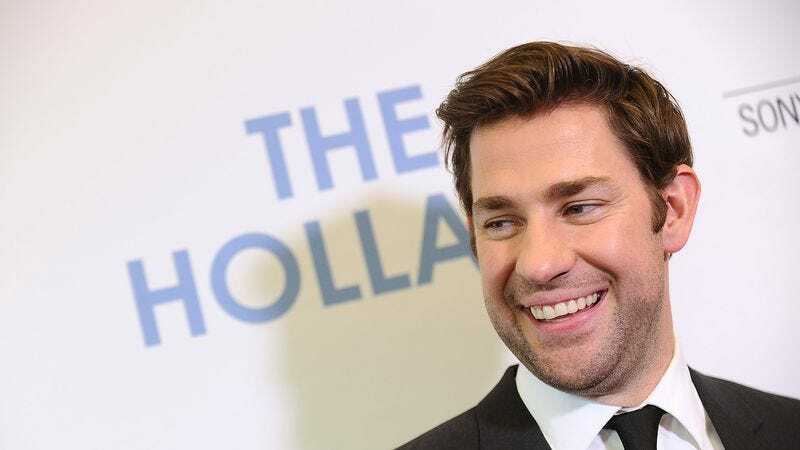 Case in point: Krasinski told Collider that he’ll be fighting ISIS in the new Amazon series in which he’s playing the aforementioned Tom Clancy hero. The Office actor explained how the bad guys are going to work in the show: “Every year they’re gonna be different. They’re sort of more ripped-from-the-headlines type stuff, so the first year the villain or I don’t know what you want to call it is, it’s taking on ISIS for sure.” Recall that Michael Bay is executive producing this enterprise, and he and Krasinski already teamed up to deal with the Benghazi attacks. These two just won’t stop trying to handle dramatized global crises. Carlton Cuse and Graham Roland created the project, which will have a 10-episode first season. Krasinski explained that Cuse thought “that two hours wasn’t enough time to tell a Jack Ryan story,” but that the whole shebang will feel like a film. “Carlton Cuse’s whole plan is we’re gonna shoot it on a movie budget, we’re gonna have the same stunts as movies, it’s gonna feel like a movie but you’re gonna watch it every week,” he said in the Collider chat. Of course, that’s pretty par for the course with any cable or streaming drama these days.